I'm a docent at our local art museum. We have a fine collection of medieval religious art including altar pieces from churches. But we also have small pieces of art that were commissioned by private citizens for inclusion in their homes. 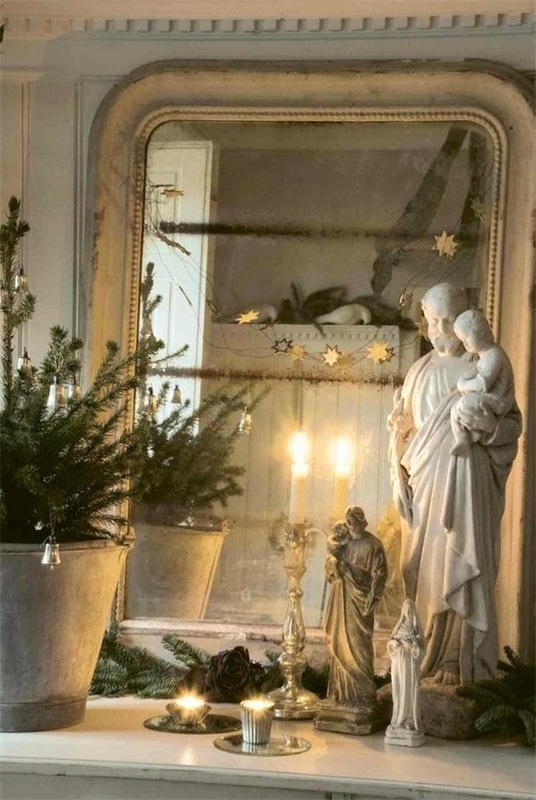 As a Protestant the idea of a family altar is a new concept but one that I've embraced this Christmas season. It's just one step away from the creche. I found this one on Pinterest and it was my inspiration. 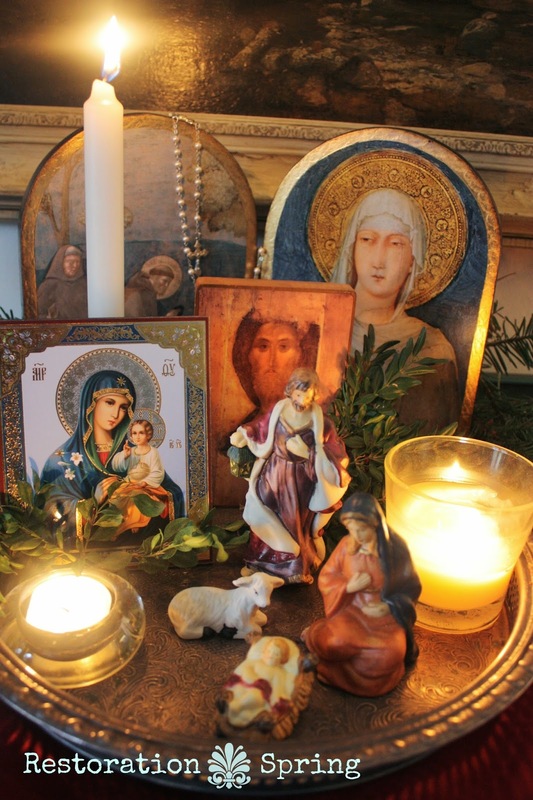 Protestants have traditionally frowned on the inclusion of icons and images in worship. But I think perhaps we've missed the point that these items can serve as reminders. We certainly make the exception at Christmas with nativity scenes. 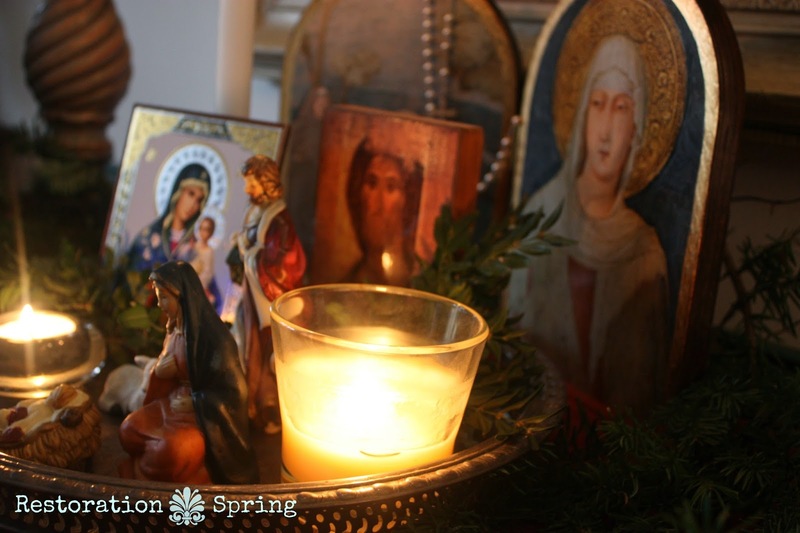 I looked around my house for things I could include in my family altar. The place for it to be was obvious and already included an icon I'd picked up in Assisi, Italy. 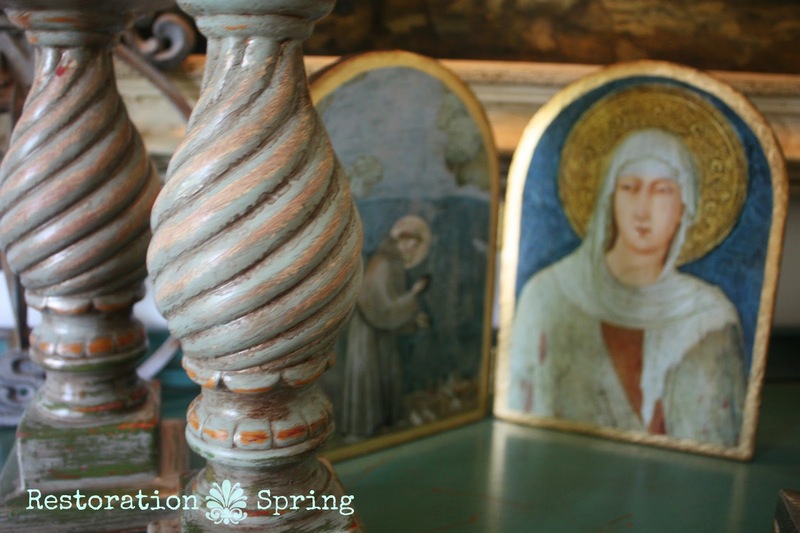 What better reminders of simplicity could there be than St. Francis and St. Clare? Okay, except Jesus, the standard for simplicity. 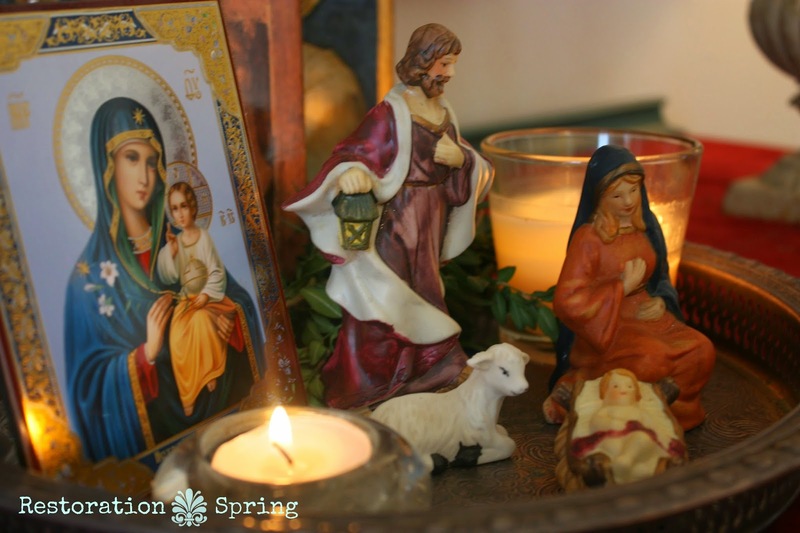 I eliminated all the pieces of my nativity scene except the Holy Family and the lamb. I added the rosary I purchased when visiting the Vatican, a reminder of the crucifixion, and a couple of icons of the Madonna and Jesus I'd picked up in Estonia and Russia. I arranged them on a silver tray and added greenery from the yard. 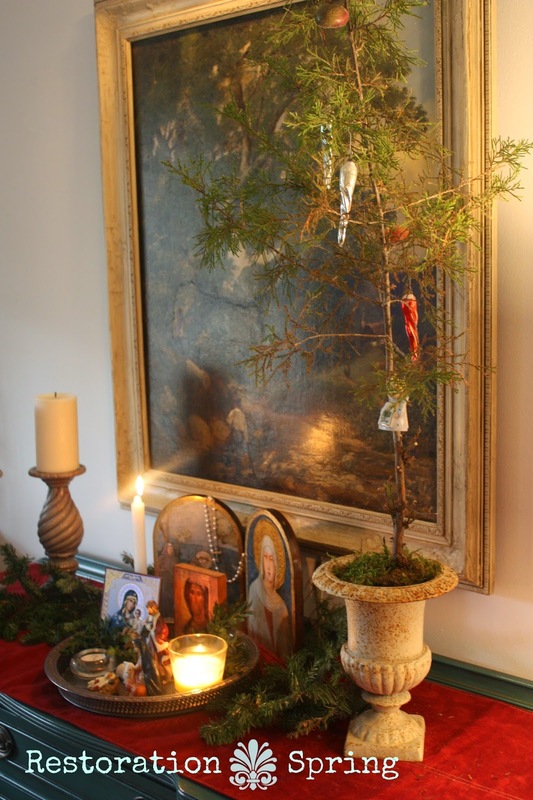 A living, potted cedar tree looms over the display. Whenever I walk through this room or sit in it, this vignette reminds me to take a moment for contemplation.